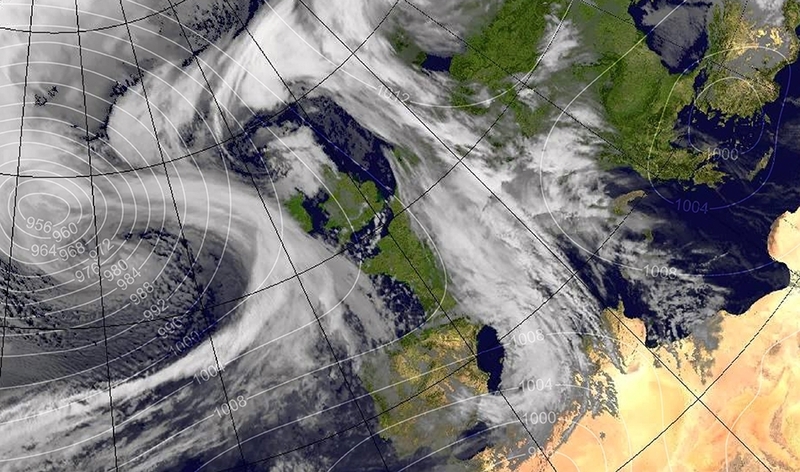 Storm Doris was officialy named on 21 February 2017 and is expected to impact the UK on 23 February 2017. After Britain enjoyed one its warmest winter days ever on February the 20th with temperatures around18C, 65F making it the hottest February 20th on record and left the UK with warmer weather than most Mediterranean countries the stormy weather is set to be back by Thursday. The Met Office reports Storm Doris has officially been named and is expected to bring strong winds, rain and some snow to the UK on Thursday. A deep low pressure system developing in the Atlantic is expected to track across Northern Ireland, northern England and Scotland on Thursday; it will bring strong winds of up to 80 mph, heavy rain and some snow at higher levels. An Amber National Severe Weather Warning has been issued for wind with gusts expected to reach 60-70 mph in northern England and Wales with the chance of some isolated gusts of up to 80mph. Elsewhere across the UK it will still be windy, with widespread gusts of 50-60 mph expected in central England and Wales, a Yellow weather warning is in place for these regions. As well as heavy rain in central parts of the UK, it is likely there will be snow in the far north of England and for much of Scotland which could fall to low levels in some of these areas. Another Yellow weather warning for snow has been issued for parts of north England and large parts of Scotland. Chief Meteorologist Steve Willington said: “We have named Storm Doris as we expect winds of up to 80mph, heavy rain and some snowfall to cause disruption across some central and northern parts of the UK on Thursday.